Debbie Summers, RN with Halcyon Hospice is this month’s winner of the Hospice Caregiver Award, presented by Horan & McConaty. “Debbie Summers is a phenomenal hospice nurse who works tirelessly to provide compassionate care for all of her patients. She is dedicated, knowledgeable and thorough in her attention to detail. I have had the pleasure of being part of care coordination meetings where Debbie is the RN Case Manager and I am always impressed. She has such a gentle-natured way about her and relates so naturally with patients and families. Debbie is the epitome of what a hospice nurse encompasses. 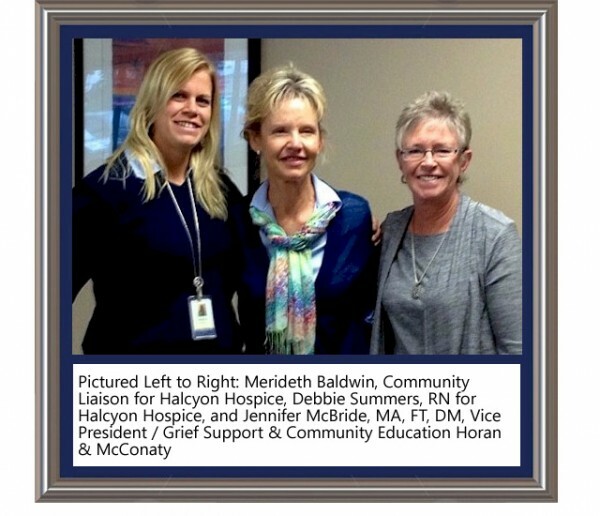 There should be many more people/nurses like her!”, stated Meredith Baldwin the Community Liaison for Halcyon Hospice. Congratulations to our April 2013 winner Debbie Summers, with Halcyon Hospice.